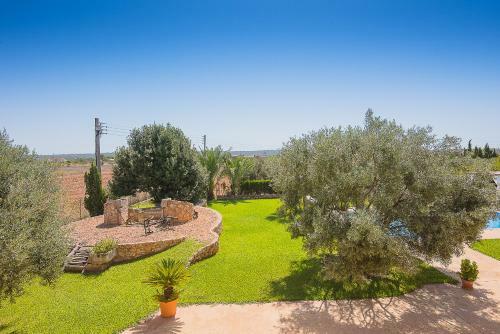 Es Palmer De Can Reco in Campos is a villa with 1 room. 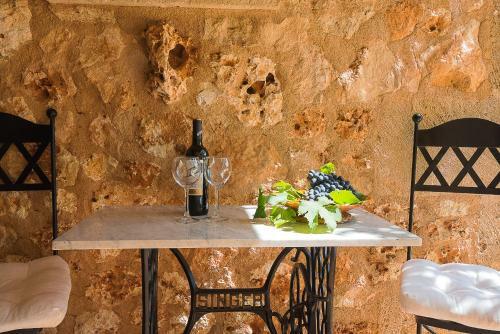 Situated in Colonia de Campos in the Majorca region, Es Palmer De Can Reco has a terrace. 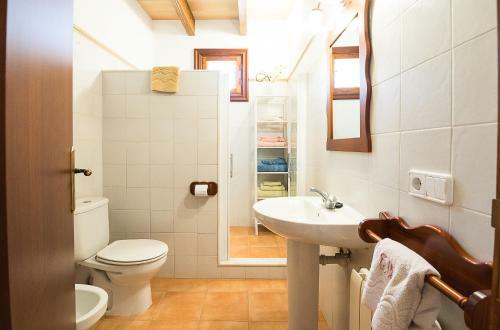 This villa also features free WiFi. 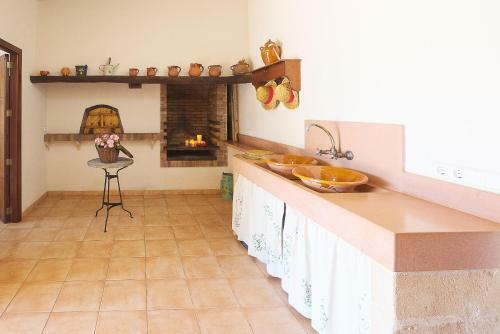 The villa is equipped with 3 bedrooms, a kitchen with a dining area, and 2 bathrooms. A flat-screen TV with satellite channels is offered. The villa offers an outdoor pool. A barbecue can be found at the property, along with a garden. Palma de Mallorca is 47 km from Es Palmer De Can Reco, while Playa de Palma is 39 km from the property. Palma de Mallorca Airport is 40 km ...away. 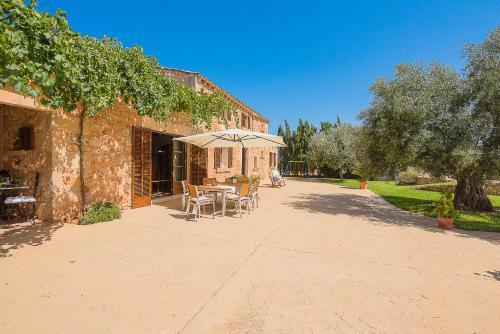 Situated in Colonia de Campos in the Majorca region, Es Palmer De Can Reco has a terrace. 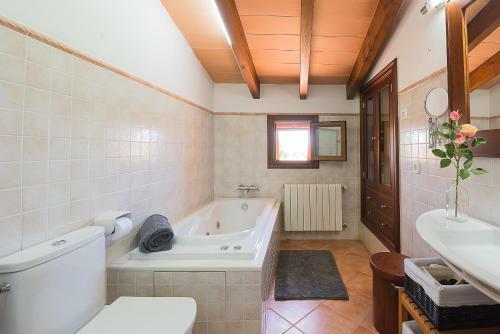 This villa also features free WiFi. 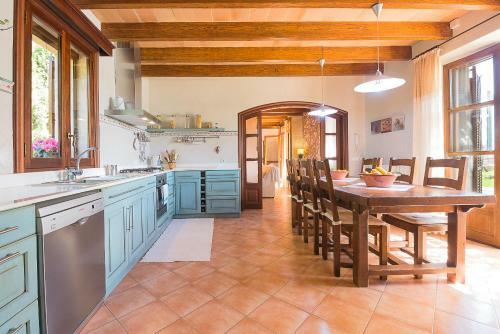 The villa is equipped wi...th 3 bedrooms, a kitchen with a dining area, and 2 bathrooms. A flat-screen TV with satellite channels is offered. The villa offers an outdoor pool. A barbecue can be found at the property, along with a garden. 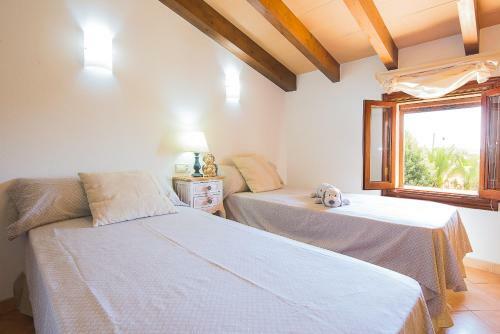 Palma de Mallorca is 47 km from Es Palmer De Can Reco, while Playa de Palma is 39 km from the property. Palma de Mallorca Airport is 40 km away. When would you like to stay at Es Palmer De Can Reco? Accepted credit cardsVisa, Euro/Mastercard, Red 6000, Maestro. The accommodation reserves the right to pre-authorise credit cards prior to arrival. Please inform Es Palmer De Can Reco in advance of your expected arrival time. You can use the Special Requests box when booking, or contact the property directly with the contact details provided in your confirmation. A damage deposit of EUR 300 is required. The host charges this 7 days before arrival. This will be collected by credit card. You should be reimbursed within 7 days of check-out. Your deposit will be refunded in full via bank transfer, subject to an inspection of the property.